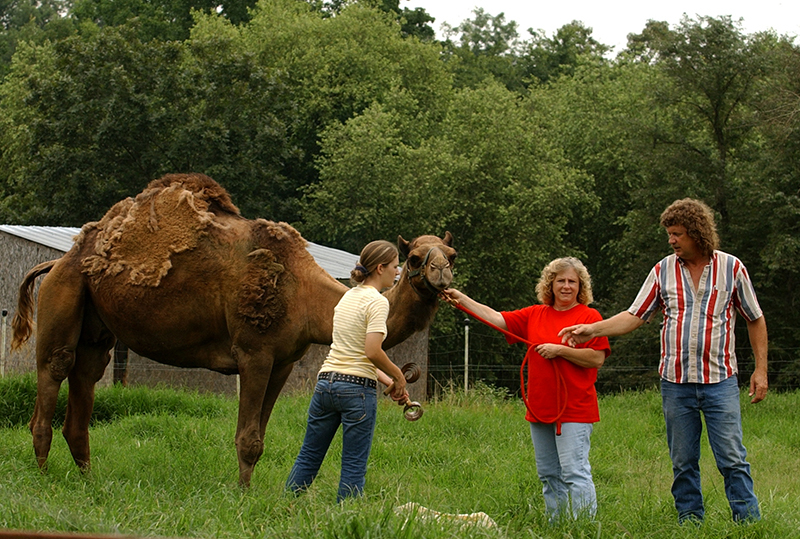 Nan Fallin, right, and Amy Fallin brush their camel named Judy at a petting zoo in Locust Fork, Blount County, in July 2004. Courtesy of The Birmingham News. All rights reserved. Used with permission. Photograph by Steve Barnette.